Maarleveld, T.R, Bruggeman, F.J, & Teusink, B. (2012, January). 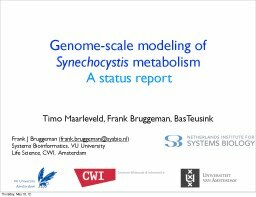 Genome-scale modeling of Synechocystis metabolism: A status report .